WOW! 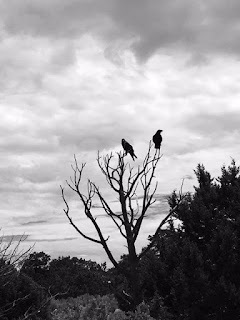 Women On Writing Blog: Three Reasons Why the Raven Should Say "Evermore" instead of "Nevermore"
Three Reasons Why the Raven Should Say "Evermore" instead of "Nevermore"
Last week I was in Arizona. 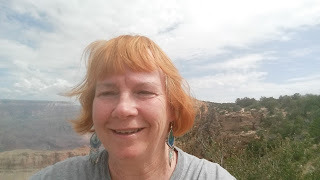 We spent a day in Sedona, a day in Williams (at Bearizona) and a day gaping, open-mouthed, at the Grand Canyon (we arrived before sunrise and left after the sun set). We saw lots and lots of ravens while we were there, along with learning some interesting tidbits about these brilliant birds. 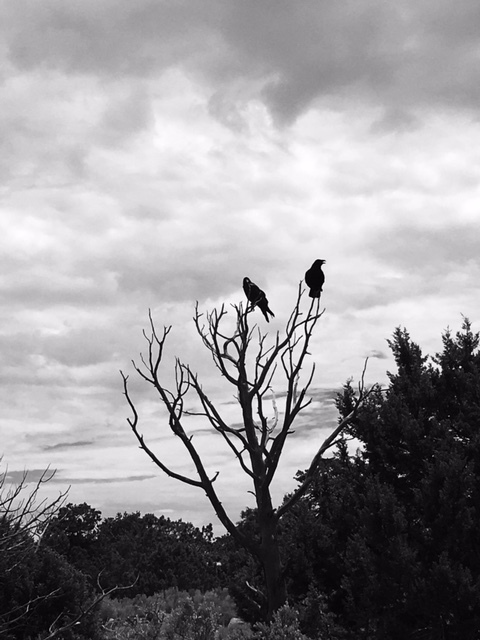 The more I learned about ravens, the more I admired them... and the more respect I gained for them, the more I connected to them as a writer. When I was 12 or so, I wanted to catch a crow (since I saw lots of crows but few ravens), make it a pet and train it to say, "Nevermore! Nevermore!" Of course, it never happened. However, on this trip I found out just how smart ravens are... and how we should follow their example. Ravens are the one animal that's truly playful. In fact, they spend a great deal of their time enjoying life. They do what's necessary--eat--and then they have fun. Most of the time their idea of fun is at the expense of other animals (including us people), so everyone else better be wary when ravens have time for mischief. What happens to writers when they don't take time out for joy? Do we get burned out? Does our writing lose its luster? Ravens make many different noises, everything from mimicking the toilet flushing to a car engine starting to a wolf. As writers, we have to mimic people around us. If we're writing fiction, we have to be able to imagine how different characters act, think and feel... and then we have to be able to use words to paint that onto the page. If we're writing nonfiction, we have to be talented at mimicking a historical period or in the case of memoir, we have to be gifted at recreating a past moment. Ravens are clever. They know the work is possible as long as they work together. One of our guides told us that now they have raven-proof trashcans, but the ones they had just previously were not. The old trashcans had 12 different locks on the lid. Humans could undo them with just two hands. The inventor figured they were foolproof. However, the ravens fooled them. Twelve ravens would get together, each putting their beak under the lid's lip, and pull up. They'd fly up with the lid, drop it off on the side, and then proceed to take everything out. Picking and choosing what they wanted, they'd leave the rest of the mess for a human to clean up. Writing is much easier and much more effective if we work together. Become part of a critique group if you aren't already. Attend a writing conference and network. Follow writing blogs and note the resources available. Ask. Many times you only need to ask a question or make a request for a beta reader to get what you need. If you'd like to learn more about ravens, check out this page. I used to think I'd love being an otter. They look like they have a blast. Now I'm rethinking my choice. Perhaps I should choose the raven as my totem animal? What is your totem animal, and why? Mischievous minds want to know. Sioux Roslawski is a middle-school teacher, a dog rescuer for Love a Golden Rescue, a wife, mother, grammy and part-time writer. In her spare time she knits, zentangles, reads voraciously, works with the Gateway Writing Project and plays with Radar, her 78-pound blonde hunk of fun. If you'd like to read more from her, check out her blog. Very clever post, Sioux! I love the writing comparisons, and crows are so smart--there's a NatGeo documentary I watched where they test their intelligence (here's a clip: https://youtu.be/F8L4KNrPEs0). I nursed a baby crow back to health when I lived in Venice. My dog found it lying on the sidewalk with a broken wing. We took him home, set him up in our spare room, and splinted his wing. He was so small and cute with a tiny body and huge beak! After two weeks, he started flying around the room, and we knew he was healed and let him go. He was amazing. I don't think we have ravens around here. I wish we did. It might explain how I hear a toilet flushing when nobody is home besides me! Angela--I've always heard pigeons described as "rat with wings." I suppose I should check out pigeons? Love how you connected the two! Fun and interesting! I am always amazed by every animal documentary I watch, so it's hard to pick one. Is it a cliche to say (as a writer) I still like cats, though?